Caption: ATADesigns and Switchscene Printing collaborate and offer a brand new range of wall-covering and mural designs for the Care Home sector. 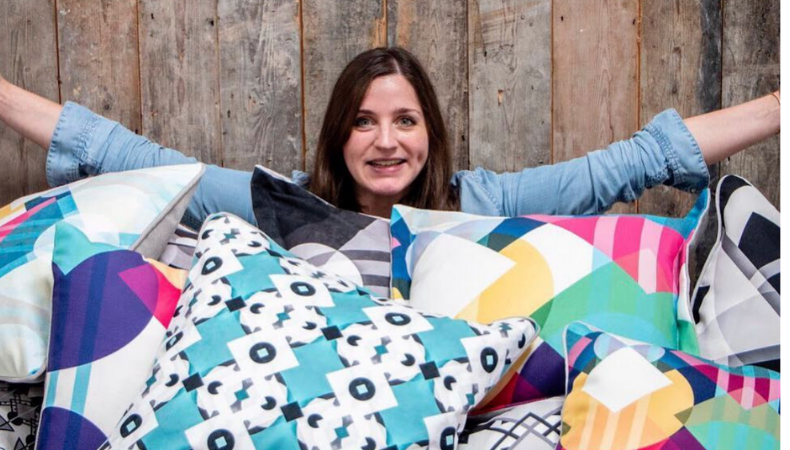 Caption: Lucy Javanshir has a unique design brand, and a passion for Geometrics. Featured here with and her stunning digitally products. Caption: : Upholsterer Jay Blades has been working with Race Furniture on a new heritage collection. Seen here is Timourous Beasties Marble Gum fabric in velvet. FESPA Global Print Expo 2019 is Europe’s largest speciality print exhibition for screen and digital wide format print, textile printing and signage solutions. Located in the East Entrance of the Messe Munich, Printeriors 2019 will take the form of an interactive visitor experience, demonstrating a host of interior décor applications, such as wallpaper, lightboxes, soft furnishings including curtains and cushions, table tops and sideboards, window graphics and chairs. Please use promo code FESG902 to register for free.